Happy Monday, friends! I hope this week finds you well and enjoying fall! The weather here is turning cooler and the trees are changing. I have bread baking in the oven and a cinnamon caramel candle lit. I absolutely love this time of year. I have an exciting post for you all today! 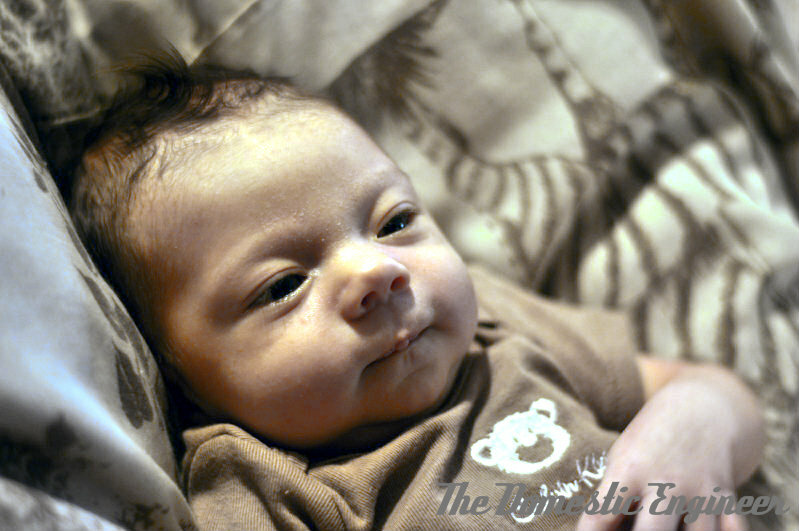 Last week I went to visit my best friend and her new baby, Carter, hence my silence on the blog. While I was there I took one month pictures of Carter, and then Ben and I took Eli's six month pictures over the weekend. You've seen the fabulous stickers my friend, Joy, gave me that we use each month. Well, I ordered some adorable ones for Carter as well! 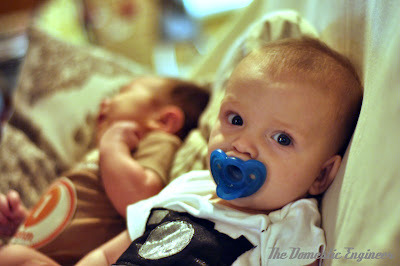 (Carter didn't have a white onesie, which was a major bummer, be we made it work!) 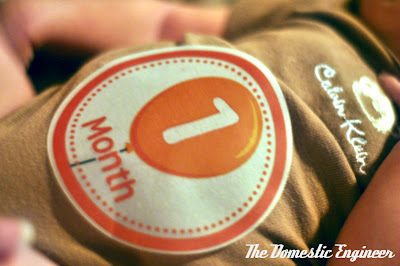 Carter's stickers feature different colored balloons for each month. While Dee from Little Baby Bumblebee and I were communicating about ordering Carter's stickers, she was gracious enough to agree to do a giveaway for you all! That's right- another giveaway! How awesome is that? 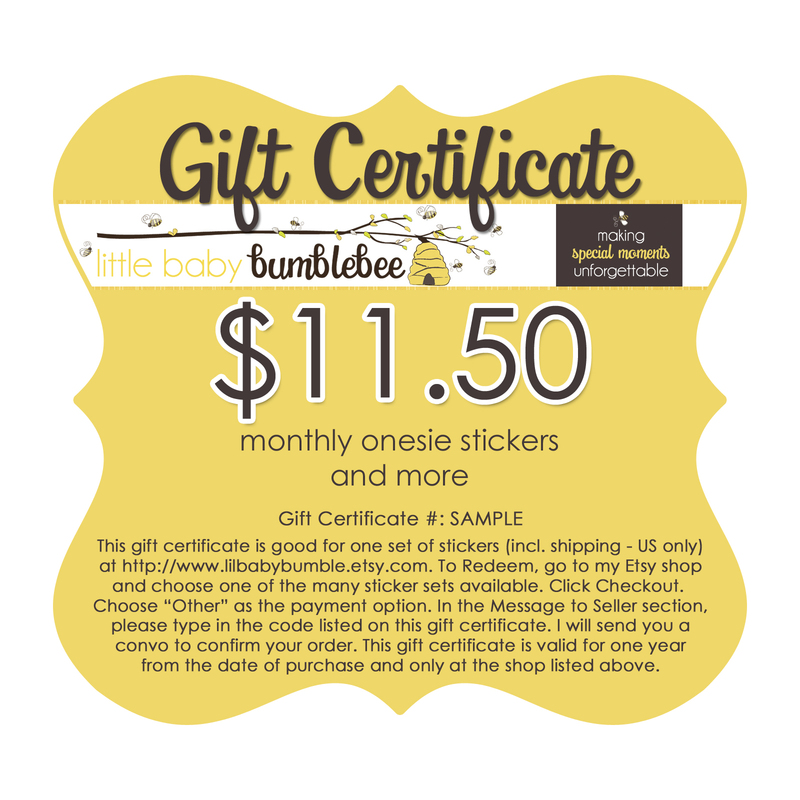 :-) She offers stickers for baby's first year, plus maternity and milestones. She is so creative- offering over 600 items in her Etsy shop. 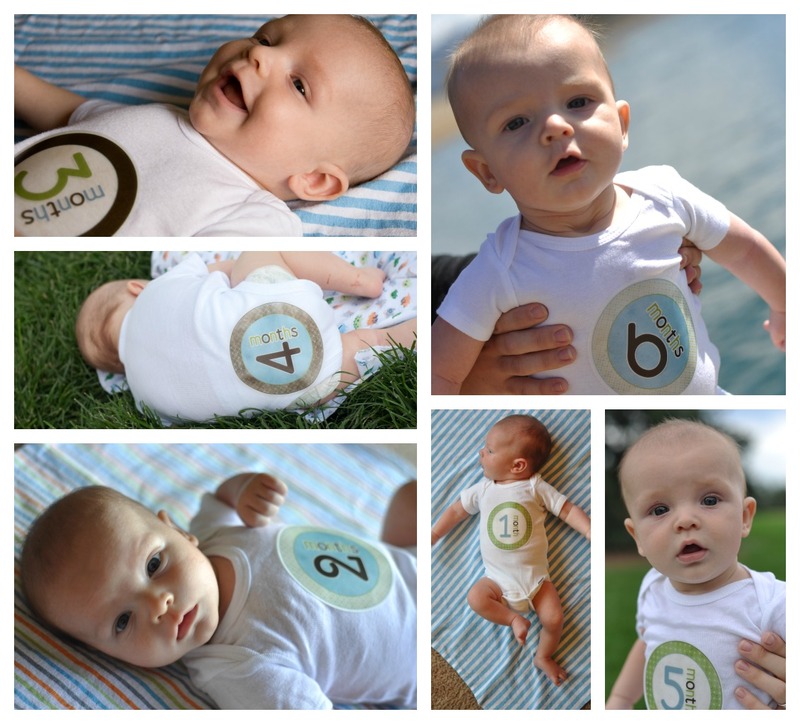 I have been so happy with my onesie stickers, and have started ordering some for all my friends who have new babies. I love the idea of taking pictures with the milestones, so cute! 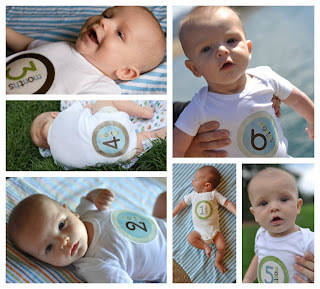 My fave is definitely the Monthly Onesie Tie Stickers - Hudson - Boy Patterns in Argyle, Plaid, Dots, Diamonds. Super cute!! Thanks for the giveaway opportunity! !